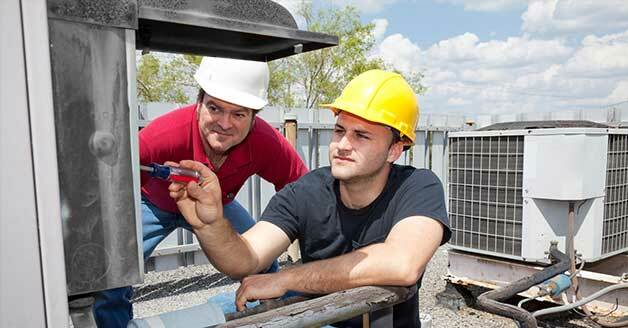 Professional air conditioning repair and maintenance in The Woodlands is just a phone call away. Dial 281-704-3696 today for whole-home comfort solutions. There’s no need to suffer in a stifling house when expert solutions are so close. Save money with online specials and coupons by clicking here. If you have ever tried to fall asleep on a hot Texas night in a home with no functioning AC, you know that it’s virtually impossible. During the day, the intense heat accumulates inside the house, and by the time you want to sleep it feels more like a sauna than a comfortable place to rest. You can’t always control when your air conditioning breaks down, but you can take quick action to get it fixed so you don’t have to suffer through any sleepless nights. Check out what your neighbors throughout The Woodlands, TX have been saying about our HVAC services when you click here. If your AC isn’t performing up to par and is in need of repairs, there are a few areas that could be creating the problem. A dirty and clogged AC filter will cause your system to lose efficiency. Other problems include a struggling motor, a thermostat that may need adjustment, leaking refrigerant, or a frozen evaporator coil. If you want to keep your air conditioning system running efficiently all summer, issues like these must be addressed quickly. One way to avoid costly repairs and keep your air conditioner running smoothly during the hottest days of summer is to have regular maintenance performed by a qualified technician. Every part of your AC has to work in conjunction with the others, so it is only as strong as its weakest link. If you have the various parts cleaned and checked for damage before the main cooling season each year, you’ll have a comfortable, cool home with no AC problems. Whether you need repairs on your AC or want maintenance to keep it running strong, stay away from the DIY repair scene. There are many components to your air conditioning system, and all it takes is one misstep to cause the entire system to fail. Professional service providers have the experience and the knowledge to get the job done quickly and effectively, so it is best to leave the work to them. If you are having problems with your air conditioning system, or if it has stopped producing cool air entirely, call the experts at Affordable American Air Conditioning & Heating for help. When you call 281-704-3696 in The Woodlands, TX area, we will set up an appointment for one of our specialists to come out and provide a quick solution.